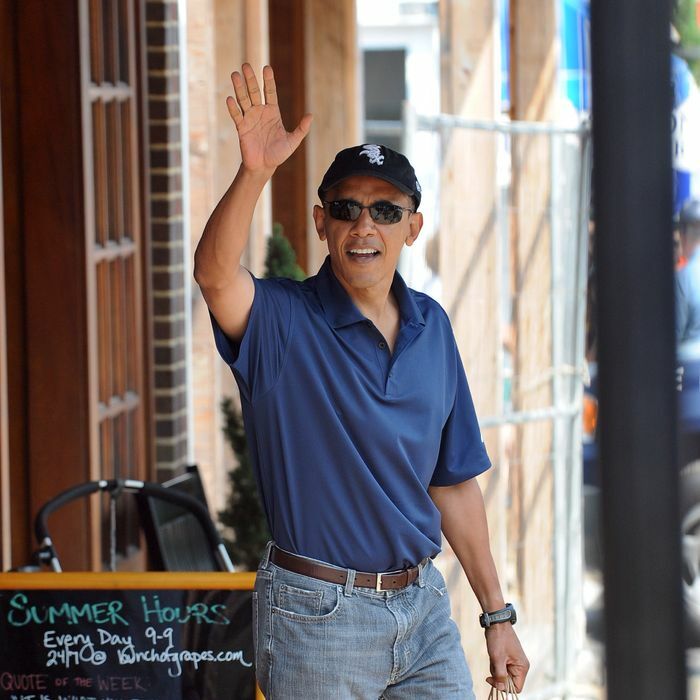 President Obama seems to be taking every opportunity to get out of the White House these days, even if it means visiting Governor Rick Perry, so it’s no surprise that he’s embarking on the longest summer vacation of his presidency. 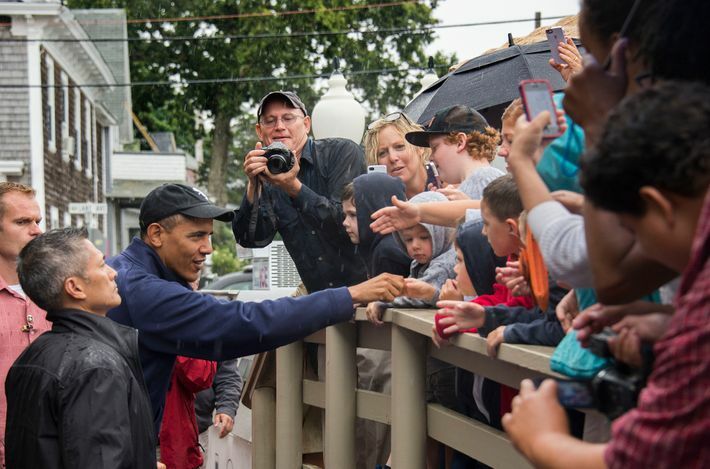 It was announced this week that from August 9 to August 24 the Obamas will return to Martha’s Vineyard, where they’ve vacationed every year except 2012, when looking busy before an election trumped family fun. 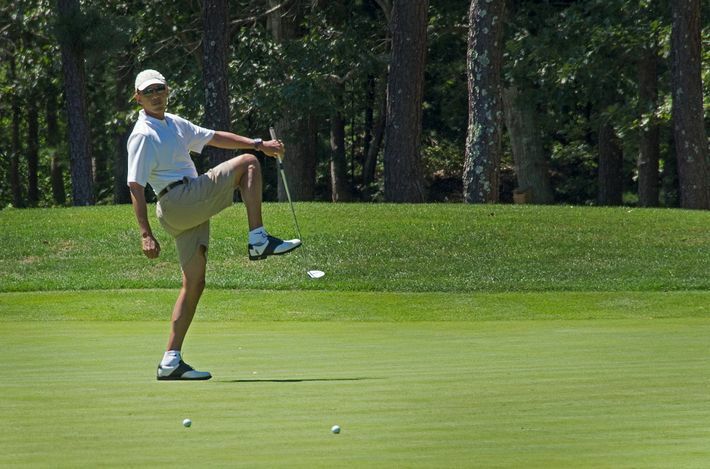 As the First Family prepares to return to the almost painfully preppy island, here’s a look at how you too can relax like you’re the leader of the free world. How to Get There: Arrive in style, but don’t be too flashy. 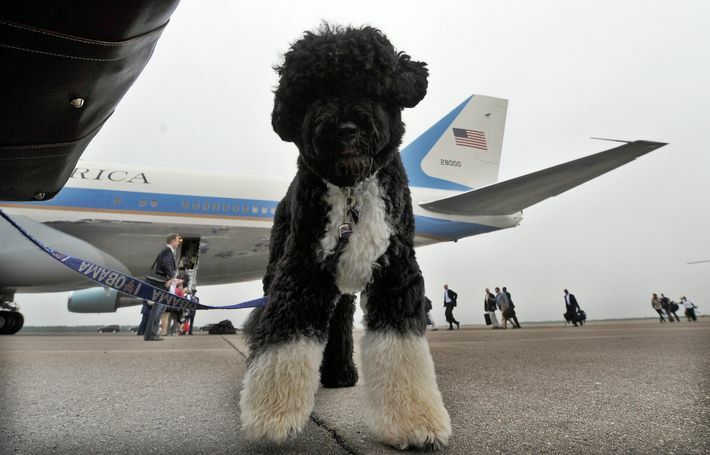 Since 2010, the Obamas have been hounded by rumors that their dog, Bo, gets his own plane when they fly to the island, but Snopes says it isn’t true. Martha’s Vineyard Airport can’t accommodate Air Force One, so the 747 lands on Cape Cod and the presidential entourage takes several helicopters to the island. 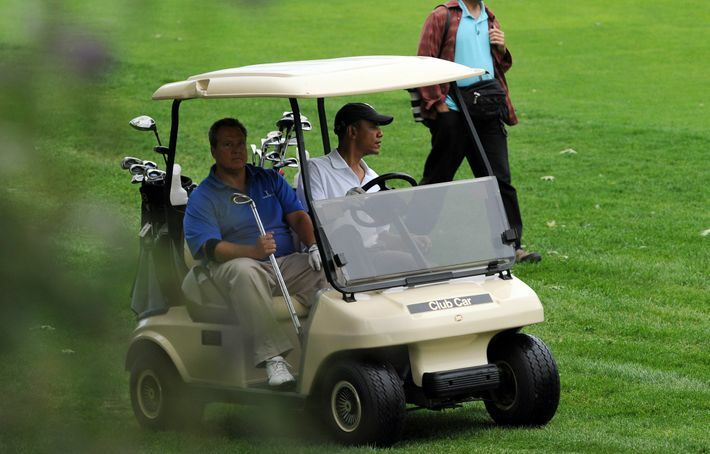 Bo actually gets the opposite of first-class treatment: He’s often crammed on a chopper with aides, reporters, and baggage. Where to Stay: Privacy is the Obamas’ top priority, but pools and basketball courts are welcome additions. 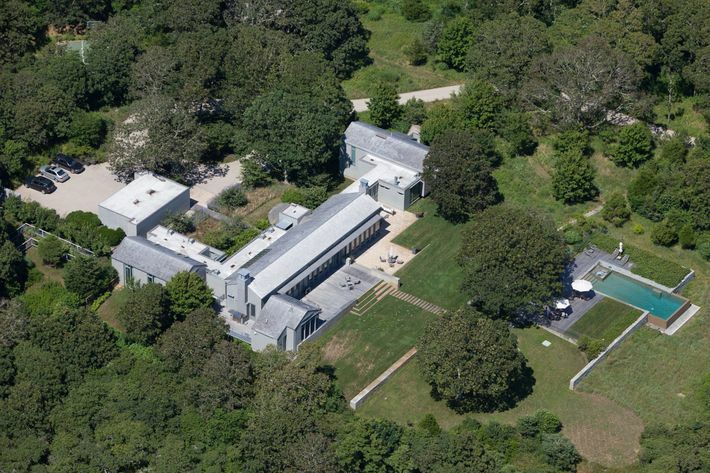 The First Family has rented several homes in the town of Chilmark. During Obama’s first term they stayed at Blue Heron Farm, but since the house was sold, in 2013 they switched to a 5,000-square-foot, four-bedroom home valued at $7.6 million (pictured below). 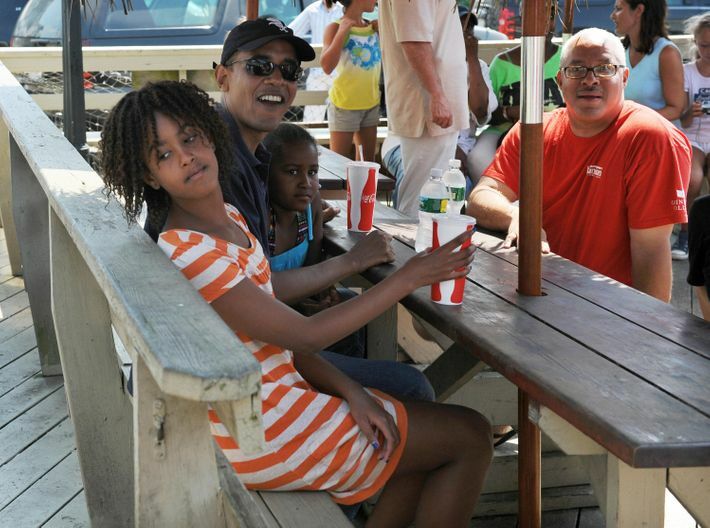 What to Eat: The Obamas frequently dine at Nancy’s in Oak Bluffs, where you can pick up an order of fried seafood at the takeout counter, or dine at picnic tables overlooking the water. Judging from the looks on Sasha and Malia’s faces, being photographed by strangers while you wait for your food doesn’t enhance the experience. Where to Shop: Sadly, there is no Gap on Martha’s Vineyard, so you’ll have to settle for quaint shops like Alley’s General Store in West Tisbury. 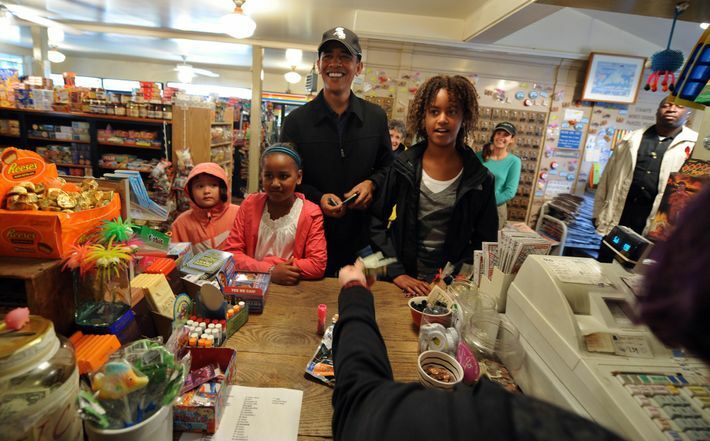 Obama usually takes his girls to the Bunch of Grapes Bookstore in Vineyard Haven, but last year they skipped the store and deprived America of the chance to scrutinize their summer reading material. 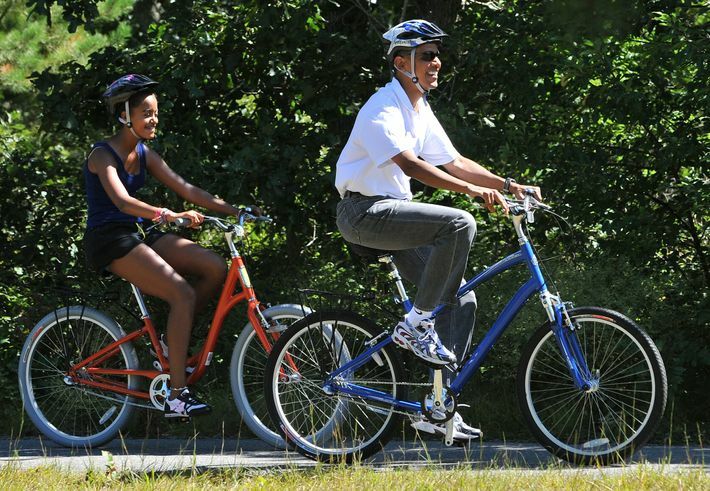 Things to Do: The First Family enjoys going to the beach and taking bike rides. Be sure to pack multiple pairs of dad jeans, as these activities provide a great opportunity to mortify your kids. 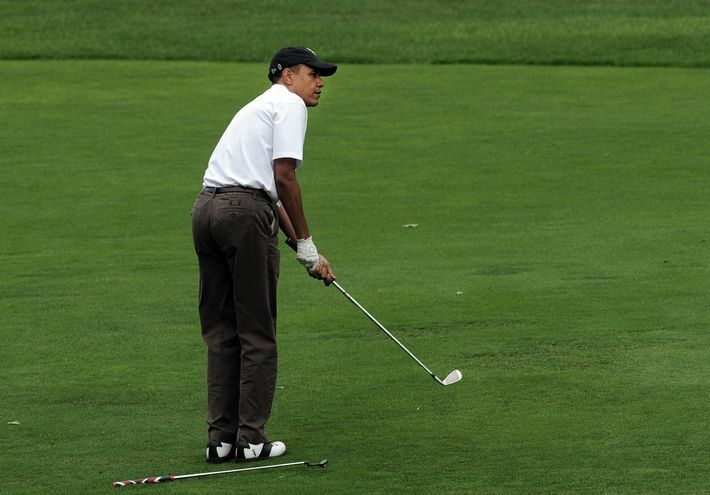 and golfing while embarrassing your kids. Tips for Travelers: Locals tend to be protective of the many celebrities who frequent the island, such as the Kennedys and the Clintons. However, the current First Family still attracts gawkers. On the plus side, the crowds are considerably smaller, and most people don’t bring their freaky horse-head masks on vacation. Sometimes you can’t avoid having your vacation interrupted by a pressing work issue. 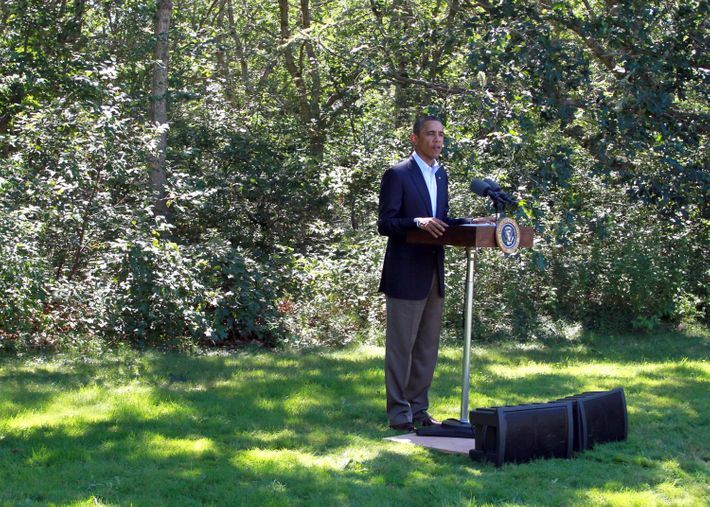 If you give speeches in your garden year-round, it doesn’t seem as weird when you hold a meeting in the backyard of your summer home.